Greetings everyone!! I’ve got another Youtube timelapse video of a rehair project I just completed! This time it is a Vandala Doubloons doll that my mother rescued from a thrift store along with several other WELL LOVED Monster High dolls. Please take a moment to watch my video. I’ve got several more planned, so if you like it please give it a thumbs up and subscribe! Thanks! For now, though, I wanted to share with you my latest reroot project. When I first got Gilda Goldstag, I loved her! I still do; however, that hairstyle is so limiting. She is a beautiful display doll, but she won’t be much more. I’m too scared of ruining that hairstyle. It’s a shame, too, because she is so photogenic! 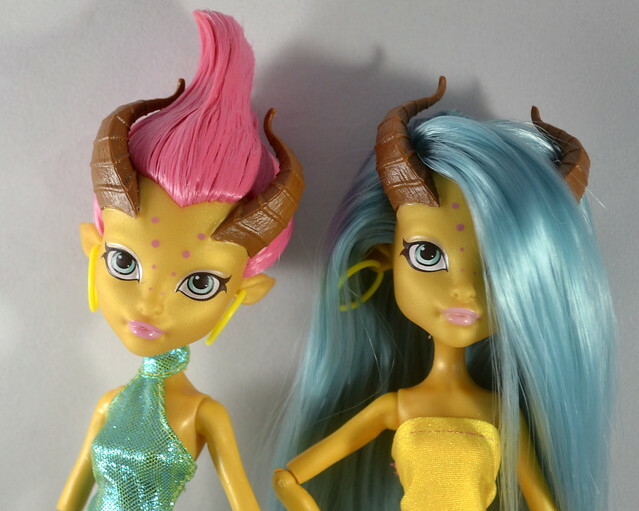 I have a great friend who collects Lagoona and Cleo. She wanted the new 5-pack, but didn’t want to keep the other dolls. 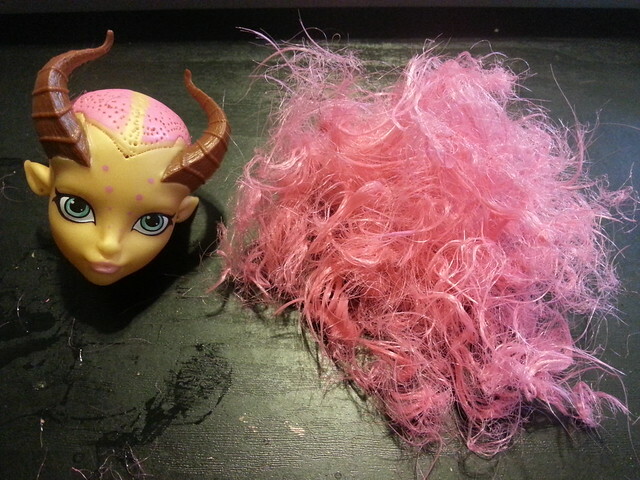 I “helped” her out by rehoming the Gilda doll from her pack. And quickly got to work! Meet the new and improved Gilda Goldstag! Gilda has been rerooted in dollyhair.com nylon in blueberry muffin. Isn’t she precious?! 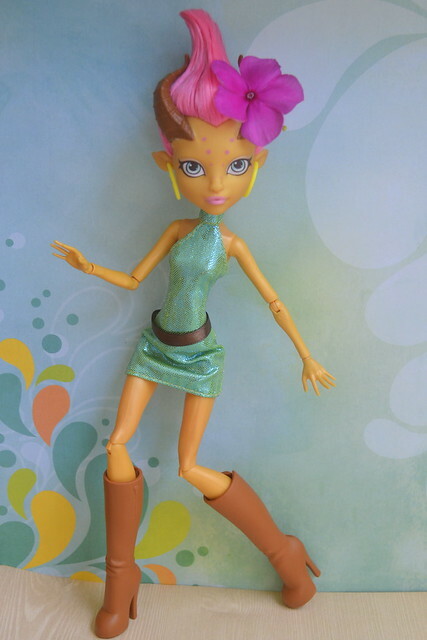 Seriously, though, this may be my new favorite doll (don’t tell Kappi!). She is so photogenic! I adore her! I’m also available for commissions if you’ve got an idea for a custom doll! Let me know if you are interested, and we can work something out!